It’s one thing to know that you’re attending what has quickly grown into the largest annual high-end show in the United States. It’s something else entirely to try to take in even a third of the 180 exhibits that were spread over the width, breadth and height of the Denver Marriott Tech Center. Show exhibits extended to eight packed floors, and down into the lobby level. Among the highlights were the return of Head-Fi’s CanJam, devoted to headphone listening; two live concerts by pianist Robert Silverman in the lobby; 14 seminars in the Aspen Ampitheater delivered by the likes of Harry Pearson and John Atkinson; and other seminars in the Nordost and Magico/Marutani Consulting/Audio Salon room conducted by leading engineers and researchers. 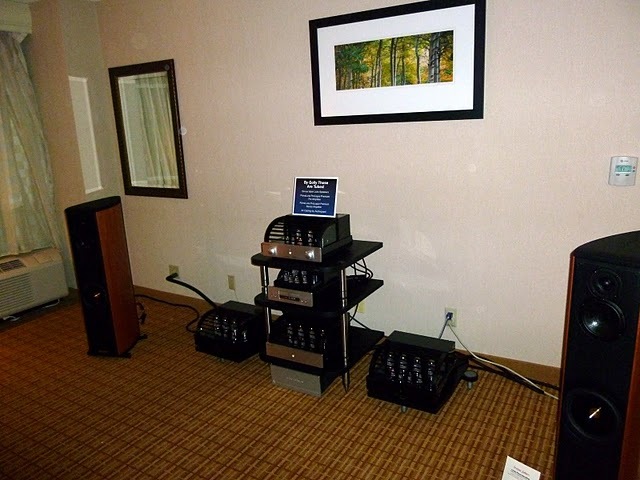 Colorado dealer Listen-Up had three rooms at RMAF. The first one I went into featured Sonus Faber Liuto 3-way speakers ($6000/pair) with PrimaLuna amplification and CD player (the latter the Prologue 8 that Fred Kaplan and I reviewed for the magazine a couple years back) and AudioQuest cables and a SolidSteel stand. The Liuto speaker is intended to offer Cremona-like performance for half the price; it combines a 1.25″ silk-dome tweeter with a 6″ woven composite-cone midrange unit and a 7″ magnesium-alloy cone woofer. The nicely finished enclosure follows Sonus Faber’s usual technique of laminating cherry sections. When I was in the room, the Liutos were being driven by PrimaLuna’s new ProLogue Premium amplifier (35Wpc, $2299). Slightly narrower than earlier PrimalUna amps, the Premium weighs 37.5 lbs and its Adaptive AutoBias feature allows it be used with EL34, 6550, KT88, or even 6L6 output tubes. (EL34s are supplied as standard.) Relays protect the amplifier in case a tube fails, in which case an LED illuminates to indicate which tube has gone south. A monoblock version offers 70Wpc and costs $4399/pair. Preamplifier was the new Prima Luna Premium ($2199), which features tube rectifiers and 12AU7 tubes. Using 12AU7s results in lower overall gain than with other small-signal tubes, a useful benefit in a preamplifier. I listened to a blues recording by Melvyn Taylor—very Steve Ray Vaughan-ish&151;and some acapella Fairfield Four and was impressed by both the ease to the sound and the low-frequency weight. Stereophile is a monthly magazine that focuses on high end audio equipment, such as loudspeakers and amplifiers, and audio-related news, such as online audio streaming. Founded in 1962, Stereophile is the oldest and largest U.S. publication dedicated to high-performance audio components. Each issue features reports and reviews on audio components, and advice on system installation and use in the home. If you’re a high-fidelity stereo perfectionist, Stereophile is for you. This entry was posted in ProLogue Premium Series, Reviews, Shows and tagged audio, electronics, hifi, music, tube amplifier. Bookmark the permalink. Of course I like the fact that PrimaLuna did well during the show and I like the fact that Stereophile’s John Atkinson gave us a bit of that wanted attention. But my God, if you check out their full article … there was a lot of fun stuff around. Maybe reason for 2011 to go and have a look at what seems to be the new Audio Paradise Exhibition. 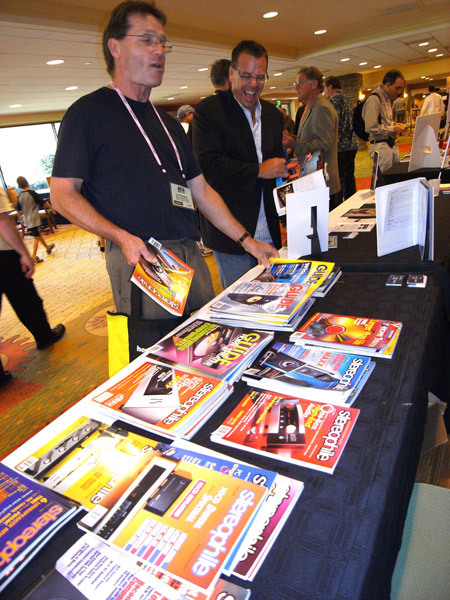 To read all about the RMAF Show, visit Sterophile’s website and spend a few hours.